How do I buy tickets on this site? Go to the concert that you want to buy a ticket to. Click on MORE DETAILS there you find a button with the text BUY YOUR TICKETS HERE. If you prefer personal service, please visit Storkyrkan – Stockholm Cathedral’s entrance open every day between 9.30-16.00 or phone Eventim: 0771 130 150 opening hours Mon-Thur 10.00-17.00, Fri 10.00-15.30. How do I book tickets to several events? Go to the first concert that you want to buy a ticket to. Choose ticket/s and where you want to be seated. Add it to your cart. Up in the left side corner, you find Back to shop. Click there, and you are then taken back to where you entered into the buying process. Click on Show more on the right side over the event and there you find Book tickets to other events!. Click there, and you are taken back to the events listing where you choose concert and seating. Unfortunately, we do not have refunds on bought tickets. What are the different delivery choices? We have print at home – print on your printer, mobile tickets and home delivery. How can I see a seating plan? You can see them under Seating plans over our churches and in the buying process on the clickable venue plan. We open the doors 30 minutes before the concert starts. Please note, no entry after the concert started. And what about handicap seats, do you have that? Yes, we have seats in both churches. One carer goes free.  Tickets to handicap seats can be bought via visit in Storkyrkan – Stockholm Cathedral’s entrance or on the phone to Eventim 0771 130 150. You can also e-mail: info@musikstorkyrkanstjacob.com, please, give complete contact information including telephone number. Yes, we do have group discounts. Please contact info@musikstorkyrkanstjacob.com. Please, inform which concert, how many and where you want to be seated with complete contact information.